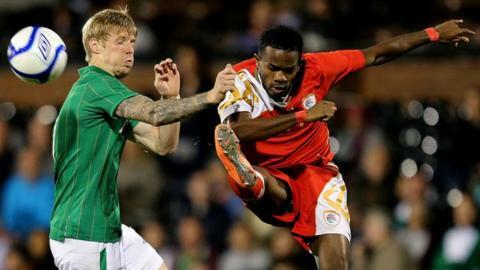 The Republic of Ireland will face Oman as part of their preparations for the Euro 2016 qualifying campaign. The Irish will entertain Paul Le Guen's side at the Aviva Stadium in Dublin on 3 September four days before their opening qualifier in Georgia. The two sides last met in September 2012 when goals from Robbie Brady, Alex Pearce, Shane Long and Kevin Doyle secured a 4-1 win at Craven Cottage. Scotland, Poland and England will also visit the Aviva Stadium next season.